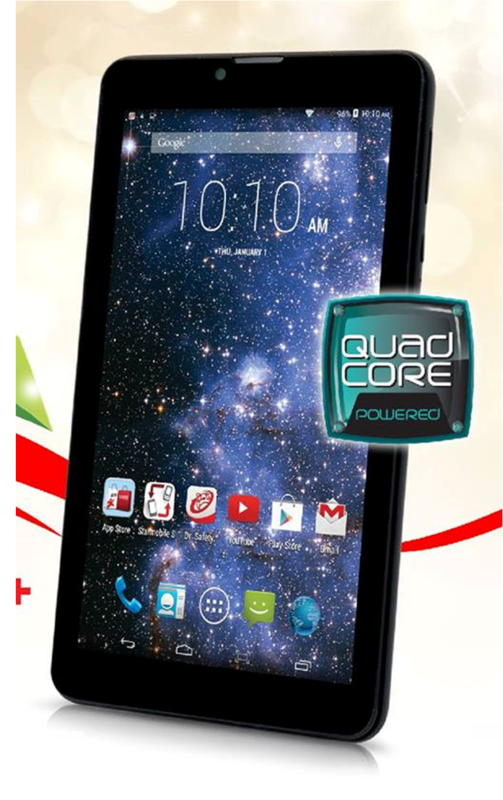 Starmobile unveils one of its cheapest tablets, the Starmobile Engage 7 3G+, for the masses as an early treat for the holiday season. The tablet is another iteration of the popular Engage line from the local manufacturer. This 7-incher sports a MediaTek MT8382 Chipset clocked at 1.3GHz ARM Cortex A7 quad-core CPU. Digging inside the SoC, you'll also find the Mali-400 MP2 GPU and a gigabyte of RAM. On paper, it seems that the tablet is good enough to deliver a good performance in playing games and doing graphic-intensive tasks. However, the downside in the feature set is the battery which is only rated at 3000 mAh. This limits the running time to a maximum of 6 hours away from the wall outlet. The device also sports 8GB internal storage with microSD support of up to 32GB. There’s also an 8MP camera with BSI sensor and LED flash. The 2MP selfie camera is also up for your video calling needs. Connectivity-wise, both SIM slots support 3G connectivity for mobile internet. dont buy this product the battery of 7 engage 3g+ is 1000mAh instead of 3000mAh.. not worth the money.If you open the product they will say its void of warranty but the fact is battery is not really 3000mAh as labeled but 1000mAh only. have it checked by DTI if you wanted to prove that this is really a bad product.